After I analysed our game versus West Brom a couple of weeks ago and pointed out some major flaws in Everton’s defence and attack alike. The improvement on the back of that performance, leading to the one on Wednesday night against Leicester was dramatic in different parts of the pitch. This was the first thing I highlighted in the West Brom analysis, unfortunately not in support of our team. Today’s analysis in this area is the opposite from the one I provided a couple of weeks ago. This shot was from the first 15 minutes of the game. After a ropey start and Leicester attacking our defence, we stepped up our energy levels almost immediately. Above shows Theo Walcott sprinting to press the man in possession, he has committed to do so due to the other viable passing option Leicester had being marked by Rooney. In doing so both Rooney and Walcott have forced Harry McGuire to turn and pass the ball back to his goalkeeper. A wider shot shows our midfielders transitioning from a deeper defensive role to a high press. When a high press is started, it’s vital it’s done in numbers as one player not pressing offers the opposition a way to release the pressure. Here it’s evident that our attacking midfielders (and striker out of shot to the left) have covered the options Leicester had to pass the ball forward. You can also see the space in the centre of the pitch. Out of shot on both of the above pictures is Tom Davies and Idrissa Gueye who are also involved in the high press in a different way. Their roles are to mark the space the ball would likely fall into when the opposition are forced to clear the ball. Above, this shot shows the completed high pressure transition Rooney, Walcott, Sigurdsson and Niasse made. The end result here is that Leicester’s goalkeeper has no other option but to clear the ball with no particular aim to his clearance. Another instance of the high press being performed was the below shot. Each Leicester man is marked and the options the player on the ball has are limited as a result. Also, Cuco Martina has now taken the role of Tom Davies and Idrissa Gueye in marking the space where the ball is likely to be moved into. Finally, the high pressure did result in Everton regaining possession deep into the oppositions half and in this shot lead to our first goal. Below is the best example of that pressure and offers no outlet for Leicester to move the ball into. Here I’ll show you the pace at which Everton transitioned from a successful press, to being on the ball in an attacking position. It’s key to note that the transition wouldn’t be successful if the ball wasn’t moved quickly, which it was in both of the below examples. Now, when I mention success, it doesn’t always mean a goal was scored at the end of the transition. Above, the success of the transition was that Everton retained the ball in an advanced position on the pitch, holding up play until more players could join the attack. Above, Theo Walcott, who has just received the ball from Tom Davies, only has 2 options. Niasse is out of shot to the left of centre of the box and Tom Davies is also available for a return pass. Decision making during an attacking transition has been something we’ve lacked for large parts of the season. Such was the determination and work rate of our attacking players on Wednesday night, Theo Walcott realised that taking the ball into the open space down the right would give adequate time for our attacking midfielders to join him. Above is successful in the best kind of way. We didn’t just retain possession in this transition, we moved quickly on the ball. Once Martina had regained the side possession through the press, he moved it quickly to Sigurdsson. Both Everton players mentioned realised the Leicester defence were massively out of shape and in order to make the most of it, the ball needed to be moved quickly. Sigurdsson took a touch and found a great ball across the box to Walcott, who knocked it in at the back post. One win doesn’t rid the side of the issues they have struggled with for most of the season. It helps with confidence, but doesn’t get rid of the technical issues Everton have faced as a side. So often, decision making in a football match is pretty much down to the individual/s in question in a certain situation. Wayne Rooney made a poor and naive decision to contact the Leicester player in the below shot. It was a poor decision. But, I like to look at why it came about and what caused the issue in the first place. Well, in this instance I believe it was due to Rooney’s poor positioning. Instead of being behind the Leicester player he should have been in front of him, defending the attack as it was coming towards him. Rooney’s decision to grab at the player was a result of his positioning and that, first and foremost, should be highlighted. Followed by his decision to pull at the player. It was soft, but Rooney has played in the Premier league going on 20 years, he knows more than most what the result of his contact with the man was going to lead to. A different example of Everton’s frailties at the back was from set pieces, in particular from corners. This example was shortly after Everton conceded from the penalty spot. Leicester made it tough to individually mark a man due to them grouping together on the edge of Everton’s box. Everton started out with a partial zonal marking system, to counter Leicester’s grouping. That zonal marking was effective, as Everton defended the space in front of the oppositions grouping before each Everton player then marked a certain player as they broke from their huddle. Below, however, Everton allowed themselves to be drawn into trying to get amongst Leicester’s huddle to mark each man individually. By the time the ball was being put into the box from the corner, Everton still hadn’t marked each of their oncoming attackers. Highlighted is Gylfi Sigurdsson who falls to the floor as a result of being blocked from getting into the oppositions huddle. also marked is Oumar Niasse who jumps too early, missing the header which would have cleared the danger. This corner lead to the ball dropping to Leicester in the space at the back post. Jordan Pickford did tremendously well to get a touch on the ball to prevent an immediate equaliser after Leicester’s first. Everton have struggled to get players into the oppositions box quickly enough to attack. On Wednesday night there was no such problem, this lead to both goals. On the screenshot below you can see that Everton have an attacking option for each defensive player. Rooney’s timely cross was a great sign of his awareness when in possession. Everton catch Leicester short at the back and Michael Keane (highlighted) receives a perfectly executed ball over from Rooney. Keane does very well to challenge and win the header, that effort from Keane lead to the ball going back across the box to Theo Walcott who once again found space. There was plenty more that I could have analysed from the game against Leicester. But, I wanted to recognise the improvement that Everton made from previous performances. The noticeable differences was Everton’s intent and work rated, as highlighted above. It was crucial they gave Leicester little time on the ball and in doing so forced the errors. 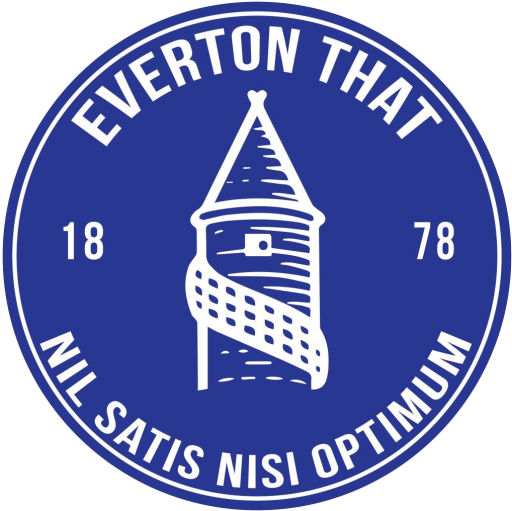 The next step for Everton is to find their consistency on the back of good performances, especially their work rate.